The HOA HAO is an indigenous Vietnamese religion founded in 1939 by HUYEN PHU SO. It is a Vietnamese development of Theravada Buddhism which emphasizes reforming and simplifying Buddhist doctrine and practice, and has a history of religious, political, and military organization and activity. Theravada Buddhism is that form of Buddhism prevalent in Cambodia, Laos, Thailand, Burma, and Ceylon, in contrast to the Mahayana Buddhism of Japan, Korea, China, and the major Buddhist group of South Vietnam. The current membership of the HOA HAO in Vietnam is between 750,000 and 1,000,000. Location: The HOA HAO are located in the Mekong Delta with the major concentration in the provinces of Chau Doc, Kien Phong, An Giang, Kien Giang, Vinh Long, Phong Dinh, Chuong Thien, Bac Lieu, Ba Xugan, and Kien Tuong. They form a belt across the delta from Cambodia to the South China Sea, and include the southern portion of South Vietnam with the exception of the extreme southern province of An Xuyen and the island province of Phu Quoc. While there are HOA HAO to be found scattered throughout other provinces of South Vietnam, their numbers give them neither political nor military significance on a par with the ten listed provinces. The Founder of Phat Giao HOA HAO: Born in 1919 at Hoa Hao Village, in Chau Doc Province, HUYEN PHU SO, at the age of twenty, was the founder of this militant sect of Buddhists. Following the "miraculous" healing in 1939 of a lifelong weakness and infirmity, SO began to proclaim his doctrines of Buddhist reform while claiming himself to be the apostle of Phat Tay. SO had learned of Phat Tay, or Nguyen Van Quyen, while a student of a Buddhist bonze named Thay Xom of Nu Cam. Phat Tay had been a famous bonze (monk) who preached and wrote in the Mekong Delta about a hundred years earlier, during the Minh Mang reign (18201841). Moreover, SO's teacher Thay Xom had taught him concerning acupuncture (the art of puncturing the body to relieve pain or cure disease and illness, and still practiced through much of Asia), hypnotism, Buddhist philosophy and some sorcery. With convincing zeal and eloquence, SO proclaimed his doctrines, and later wrote them in his book SAM GIAN (Translated: "ORACLES and PRAYERS"). To help identify his teachings, he gave them the name of his village Hoa Hao, by which his religion is still known. His first converts were those who witnessed his "healing" and heard him preach. His apparent "gift of prophecy" which foretold the defeat of the French in World War II, the coming of the Japanese occupation, and the later arrival of Americans, added impetus to his appeal. His additional skills of healing by herbs and acupuncture made him appear almost supernatural to his audiences. His hypnotic stare caused them to call him DAO KHUNG or "Mad Bonze". In time, the BOA HAD adherents began to think of SO as Phat Song, or the Living Buddha. Because the French considered his preaching to be anti-French and strongly political, he was exiled to My Tho and Cai Be, where he gained many converts. The French then placed him in a mental institution in Cholon, only to have the director; a psychiatrist, become a convert. Declared sane and released, SO was exiled to Vinh Loi in Bac Lieu Province, where he again converted many. In desperation the French administration exiled him to Laos, only to have the Japanese insist upon his return to Saigon as their protege in October, 1942. Upon the surrender of the Japanese, SO led the HOA HAO into the National United Front, a Viet Minh organization. 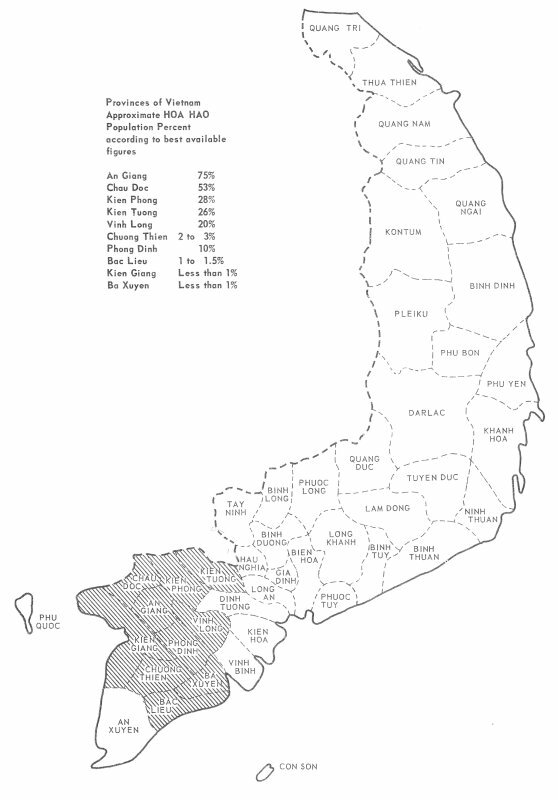 It was soon evident, however, that neither the Cao Dai nor the HOA HAD would accept the leadership of the Viet Minh, so the latter caused the United Front to be dissolved. SO then entered politics as the anti- French, anti-communist leader of his adherents. Even so, the Viet Minh, hoping to use him, appointed him a Special Commissioner to the nine-member Executive Committee for South Vietnam, six of whom were communists. However, the differing opinions and ideological clashes between the Viet Minh and the HOA HAO caused SO to flee for his life to Duc Boa in December. 1946. In April, 1947, while traveling to a conciliatory meeting sponsored by the Viet Minh, he was captured, tried and executed by the communists in Long Xuyen. While the HOA HAO leaders tried to keep the murder "quiet", it turned their full wrath against the Viet Minh, although they informed the faithful that SO had only temporarily withdrawn, but would return. After twenty years, the HOA HAO still do not care to discuss the subject. Yet this is the basic reason that HOA HAO are noted for their opposition to everything the Vietnamese Communists want or fight for, and the HOA HAO do not hesitate to destroy communists who enter their strongholds. Religious Doctrines of the HOA HAO: Four major precepts of this faith are: (a) honor parents; (b) love country; (c) respect Buddhism and its teachings; and (d) love fellow man. The Eight Points of Honesty form parts of the HOA HAO ethical teaching as do the virtues which HUYEN PHU SO stressed. These virtues insist that marriage partners be faithful to each other, and that officials be just, honest, and faithful in behalf of their people even as parents care for their children. The HOA HAO are forbidden to drink alcohol, to smoke opium, or to kill either oxen or buffalo for food. In order to make such restrictions more acceptable to the adherents, the ban on killing oxen or buffalo does not preclude eating beef when it is offered by one's host. But even in this matter, the faithful HOA HAO must not eat either meat or greasy food on the 1st, 14th, 15th, or 30th days of the lunar month, as these are days of abstinence. The basic religion which gave rise to the HOA HAO is Theravada Buddhism. The older form of Buddhism has encouraged repeated reforms, aimed at conserving the purity of the teachings of the elders, with this teaching being more correct or closer to Buddha's doctrines than Mahayana Buddhism. But stress is given to austerity and salvation by personal example. As in all forms of Buddhism, salvation is a result of personal achievement. Confucianism and Animism were included in SO's "reform" Buddhism, but on a more restricted scale than found in other Vietnamese religions. Prayers and offerings might be offered to Buddha, to Vietnamese national heroes or to personal ancestors, but not other deities and spirits, except some small offerings of the various incenses used to frighten away the evil spirits who might be lurking nearby. The natural consequence of such concepts taught by SO was a de-emphasis of pagodas and other elaborate structures as well as increased value given to rituals, symbols, and the Songha, which is the Buddhist order of monks. SO violently attacked the Vietnamese custom of elaborate and often expensive funerals also. This funeral custom has been brought from Tibet and China by the Chinese and absorbed into Vietnamese Buddhism and Confucianism so that it became a national custom. In SO's words, "The body should be interred simply and without great ceremony so that its decomposition should not incommode the living. Why spend lots of money under the pretext of materializing feelings of filial piety, fidelity and friendship toward the dead, when it should have been greatly preferable to show them such feelings when they are alive...?" (P. 245, Bernard Fall, "The Political-Religious Sects of Vietnam", Pacific Affairs, XXVIII, No. 3, September 1955.) In accord with these views, the HOA HAO have no Scriptures peculiar to themselves, and have little need of an extensive clergy or of large offerings. While having doctrines based upon Theravada Buddhism which has a long history of semi-passiveness, the HOA HAO are aggressive, and quite acceptable fighters when well-led. While giving allegiance to no religious figure as such, the fighting adherents of Hoa Haoism seem to have an almost fanatical willingness to follow and obey their HOA HAO immediate superiors without regard for personal loss. At the same time, neither does the HOA HAD shrink from acquiring possessions or seeking to improve himself instead of resigning to fate. 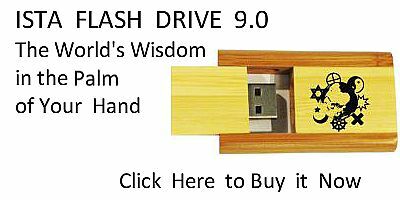 Non-adherents of Hoa Haoism in areas of that faith often point out that HOA HAO don't seem to follow the Eight Points of Honesty in their relations with non-members of the faith. The HOA HAO Flag: Like the other religious bodies in Vietnam, the HOA HAO have a distinctive religious flag, rectangular in shape and solid maroon in color inasmuch as the HOA HAO believe that maroon is the combination of all colors and thus signifies unity of all people, regardless of race, color, or language. Founding Day Commemoration: Each year on the 18th day of the 5th lunar month, the HOA HAO have ceremonies which celebrate the anniversary date of the HOA HAO founding. To the fullest extent possible, the adherents gather to listen to sermons and speeches. The Mother of Huyen Phu SO, Mrs. Huyen Cong Bo, lives in HOA HAO Village in Chau Doc Province. The HOA HAO celebrate her birthday each year, and she is reputed to have great influence in HOA HAO ceremonial matters. Moreover, she is the recognized head of the To Dinh which is supposedly the non-political group of BOA HAO and which claims at least 60% of all the BOA HAO followers. HOA HAO Village is undoubtedly the major stronghold of the religious faith which bears its name. The major pagoda of the BOA HAO is located here, and while elaborate in comparison with other HOA HAO religious structures, it is quite simple when compared to the major churches of other religious organizations. The picture of HUYEN PHU SO has the position of honor within the pagoda, with pictures of other HOA HAO personalities also about the structure. Religious Practices of the HOA HAO: Similar to the Cao Dai, the HOA HAO adherent is to pray four times a day. Normally the first prayer is for devotion to Buddha; the second is for the Reign of the Enlightened King; the third prayer is for all ancestors, both living and deceased; and the fourth prayer, according to SO, is for "the mass of small people to whom I wish to have the will to improve themselves from the shackles of ignorance". (P. 100, Major A.M. Savani, Visages et Images du Sud-Vietnam, Saigon: Imprimerie Francaise d'Outre-Mer, 1955). The small and simple altars, normally covered with a single red cloth, in either home or temple, may have one to three bowls of fruit or flowers as well as three bowls of water on them. The red cloth is a symbol of universal understandings, as Vietnamese think red to be the all-embracing color. Just as the ability of the HOA HAO adherent to communicate directly with the supernatural removes the need of a large clergy, so the offering of water and flowers in place of wine and food reduces demands on the peasant worshipper. Undoubtedly, such factors tend to make this faith more acceptable and more solidly established among the Vietnamese delta peasantry where it had its origin and now has most of its current membership. Within the home of the BOA HAO, the picture of SO is normally found hanging above the altar or table reserved for the practice and worship of the religion. The adherents of Hoa Haoism are largely ethnic Vietnamese, even though the religion itself springs from Theravada Buddhism. Thus the customs and patterns of life are similar to the Vietnamese except where the tenets of faith cause differences. Normally, only the alert and informed observer can quickly distinguish between the HOA HAO and other faiths in the delta. In this respect, it is well to know that the HOA HAO are members of the sixteen member Unified Buddhist Association of Vietnam, in contrast to the Cao Dai who are not normally accepted by the Buddhists as belonging even faintly to Buddhism. Organization of the HOA HAO: In 1964 an election among the HOA HAO created a sixteen member Central Executive Committee; the members hold a two-year term. The elected chairman is Mr. Loung Trong Tuong; others are elected vice-chairman, advisors, secretary, assistant secretaries, etc. Moreover, this type of structure is duplicated in each level of organization down to the hamlet. While basically designed to function only in the area of religion, the influence and interest of this organization undoubtedly affects both political and military concepts inasmuch as the HOA HAO have a history of religio-political-military involvement. But when it is recalled that this religion has never experienced a time of peace, its involvement in the religio-military scene may not be too strange. Many observers say the HOA HAO troop commander is the unquestioned leader of his religio-military unit, and that his troops will obey him to the extent that one observer has remarked: "They would follow him off the side of a cliff." This loyalty is not normally found in units of HOA HAO where non-HOA HAO are in command. According to some adherents, the HOA HAO, like the Moslems of the Middle East under the influence of Islam, have sometimes exerted forceful persuasion in effecting conversion. Several Vietnamese have remarked on occasion that while sometimes divided among themselves, the HOA HAD will more often be united together against non-adherents, and seem to prefer to have local government officials of their own faith. death of SO, with his prophetic gift of leadership, disrupted the movement and the HOA HAO quickly demonstrated the splintering so typical of a people without firm goals, guidelines and leadership. Yet the fact of the survival of the HOA HAO makes an understanding of the followers a necessity for all who serve in their area or make decisions affecting them. Created in violent stress, the HOA HAO have been involved with and against the communists, with and against the French, also with and against the Japanese as well as with and against various Vietnamese governments. While the HOA HAO may be politically and militarily divided from time to time, the adherents seem to have a consistent loyalty to the religion itself. Since HOA HAOISM originated in time of Vietnamese national crisis and stress, it has existed under threat of annihilation by one force or another, and so has been aggressively hostile itself. At least it has been able to convey this impression to the noninvolved Vietnamese peasant of the delta. In spite of the reputation which the HOA HAO soldier has established, some observers believe that the average one is much the same as other Vietnamese servicemen; he may be either a poor, average or excellent fighter depending upon his background, his training and his personal motivation. However, his loyalty to HOA HAO leadership is sufficiently strong that good leadership can compensate for other factors. The HOA HAO seem to like Americans, or demonstrate little hostility or non-acceptance toward them. This may grow out of SO's early prophecy of the coming of the Americans as well as the relationships experienced thus far between the HOA HAO and the American military personnel. Yet their loyalty toward immediate HOA HAO leadership requires that all Americans must establish rapport and acceptable relationships with these leaders. To be successful, national objectives must be accepted by the HOA HAO as their own goals. Wisdom dictates that private conferences with the leaders at all levels will allow them to present the national program as one to which they have agreed. The attainment of the goals will then reflect to their credit. Experience has shown that some HOA HAO leaders will resign when their men fail to achieve an objective, unless they are convinced that factors beyond their possible consideration affected the outcome. To ascertain who the HOA HAO leader is may be difficult sometimes; but discreet observation normally reveals this in spite of the fact that the "front-man" is often only the agent of the individuals who control the funds. Experience makes it possible to "play the game" and still secure objectives while staying on good terms with all. Since most of the HOA HAO adherents are ethnic Vietnamese, the same courtesy and understanding extended to other Vietnamese is normally sufficient, particularly if one remains alert to their religious tenets. This includes discretion in comments or questions pertaining to HUYEN PHU SO's death or "current location", as some adherents believe that SO is still alive and will return at the appropriate time. Such adherents tend to refer almost unconsciously to SO as "My Master". It is obvious that strong religious factors of the Vietnamese must be carefully considered in any effective national endeavor. These factors must be recognized on both the policy and the implementation levels. Especially in the latter, the attitude and actions of each American become vital. Military objectives in strong religious communities must weigh the religious forces, concepts and practices. This sometimes necessitates decisions that give first priority to religious considerations and second priority to the usual military procedures. Damage may result if influences are ignored, as some Vietnamese adherents are "forceful" in maintaining their practices.